I read this article and found it very interesting, thought it might be something for you. 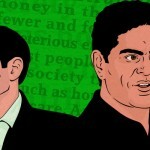 The article is called Nick Hanauer and Eric Beinhocker: Capitalism Redefined and is located at https://evonomics.com/redefining-capitalism-eric-beinhocker-nick-hanauer/. Our issue isn’t with GDP per se. As the English say, “It does what it says on the tin”—it measures economic activity or output. Rather, our issue is with the nature of that activity itself. Our question is whether the activities of our economy that are counted in GDP are truly enhancing the prosperity of our society. Since the field’s beginnings, economists have been concerned with why one thing has more value than another, and what conditions lead to greater prosperity—or social welfare, as economists call it. Adam Smith’s famous diamond-water paradox showed that quite often the market price of a thing does not always reflect intuitive notions of its intrinsic value—diamonds, with little intrinsic value, are typically far more expensive than water, which is essential for life. This is of course where markets come into play—in most places, water is more abundant than diamonds, and so the law of supply and demand determines that water is cheaper. After lots of debate about the nature of economic value in the nineteenth and early twentieth centuries, economists considered the issue largely settled by the mid-twentieth century. The great French economist Gerard Debreu argued in his 1959 Theory of Value that if markets are competitive and people are rational and have good information, then markets will automatically sort everything out, ensuring that prices reflect supply and demand and allocate everything in such a way that everyone’s welfare is maximized, and that no one can be made better off without making someone else worse off. In essence, the market price of something reflects a collective judgment of the value of that thing. The idea of intrinsic value was always problematic because it was inherently relative and hard to observe or measure. But market prices are cold hard facts. If market prices provide a collective societal judgment of value and allocate goods to their most efficient and welfare-maximizing uses, then we no longer have to worry about squishy ideas like intrinsic value; we just need to look at the price of something to know its value. Debreu was apolitical about his theory—in fact, he saw it as an exercise in abstract mathematics and repeatedly warned about over-interpreting its applicability to real-world economies. However, his work, as well as related work in that era by figures such as Kenneth Arrow and Paul Samuelson, laid the foundations for economists such as Milton Friedman and Robert Lucas, who provided a devastating critique of Keynesianism in the 1960s and ’70s, and recent Nobel laureate Eugene Fama, who pioneered the theory of efficient markets in finance in the 1970s and ’80s. According to the neoclassical theory that emerged from this era, if markets are efficient and thus “welfare-maximizing,” then it follows that we should minimize any distortions that move society away from this optimal state, whether it is companies engaging in monopolistic behavior, unions interfering with labor markets, or governments creating distortions through taxes and regulation. These ideas became the intellectual touchstone of a resurgent conservative movement in the 1980s and led to a wave of financial market deregulation that continued through the 1990s up until the crash of 2008. Under this logic, if financial markets are the most competitive and efficient markets in the world, then they should be minimally regulated. And innovations like complex derivatives must be valuable, not just to the bankers earning big fees from creating them, but to those buying them and to society as a whole. Any interference will reduce the efficiency of the market and reduce the welfare of society. Likewise the enormous pay packets of the hedge-fund managers trading those derivatives must reflect the value they are adding to society—they are making the market more efficient. In efficient markets, if someone is willing to pay for something, it must be valuable. Price and value are effectively the same thing. Even before the crash, some economists were beginning to question these ideas. Robert Shiller of Yale University, who ironically shared this year’s Nobel with Fama, showed in the early 1980s that stock market prices did not always reflect fundamental value, and sometimes big gaps could open up between the two. Likewise, behavioral economists like Daniel Kahneman began showing that real people didn’t behave in the hyper-rational way that Debreu’s theory assumed. Other researchers in the 1980s and ’90s, even Debreu’s famous co-author Arrow, began to question the whole notion of the economy naturally moving to a resting point or “equilibrium” where everyone’s welfare is optimized. An emerging twenty-first century view of the economy is that it is a dynamic, constantly evolving, highly complex system—more like an ecosystem than a machine. In such a system, markets may be highly innovative and effective, but they can sometimes be far from efficient. And likewise, people may be clever, but they can sometimes be far from rational. So if markets are not always efficient and people are not always rational, then the twentieth century mantra that price equals value may not be right either. If this is the case, then what do terms like value, wealth, growth, and prosperity mean? In every society, some people are better off than others. Discerning the differences is simple. When someone has more money than most other people, we call him wealthy. But an important distinction must be drawn between this kind of relative wealth and the societal wealth that we term “prosperity.” What it takes to make a society prosperous is far more complex than what it takes to make one individual better off than another. Most of us intuitively believe that the more money people have in a society, the more prosperous that society must be. America’s average household disposable income in 2010 was $38,001 versus $28,194 for Canada; therefore America is more prosperous than Canada. But the idea that prosperity is simply “having money” can be easily disproved with a simple thought experiment. (This thought experiment and other elements of this section are adapted from Eric Beinhocker’s The Origin of Wealth, Harvard Business School Press, 2006.) Imagine you had the $38,001 income of a typical American but lived in a village among the Yanomami people, an isolated hunter-gatherer tribe deep in the Brazilian rainforest. You’d easily be the richest Yanomamian (they don’t use money but anthropologists estimate their standard of living at the equivalent of about $90 per year). But you’d still feel a lot poorer than the average American. Even after you’d fixed up your mud hut, bought the best clay pots in the village, and eaten the finest Yanomami cuisine, all of your riches still wouldn’t get you antibiotics, air conditioning, or a comfy bed. And yet, even the poorest American typically has access to these crucial elements of well-being. And therein lies the difference between a poor society and a prosperous one. It isn’t the amount of money that a society has in circulation, whether dollars, euros, beads, or wampum. Rather, it is the availability of the things that create well-being—like antibiotics, air conditioning, safe food, the ability to travel, and even frivolous things like video games. It is the availability of these “solutions” to human problems—things that make life better on a relative basis—that makes us prosperous. This is why prosperity in human societies can’t be properly understood by just looking at monetary measures of income or wealth. Prosperity in a society is the accumulation of solutions to human problems. These solutions run from the prosaic, like a crunchier potato chip, to the profound, like cures for deadly diseases. Ultimately, the measure of a society’s wealth is the range of human problems that it has found a way to solve and how available it has made those solutions to its citizens. Every item in the huge retail stores that Americans shop in can be thought of as a solution to a different kind of problem—how to eat, clothe ourselves, make our homes more comfortable, get around, entertain ourselves, and so on. The more and better solutions available to us, the more prosperity we have. The long arc of human progress can be thought of as an accumulation of such solutions, embodied in the products and services of the economy. The Yanomami economy, typical of our hunter-gatherer ancestors 15,000 years ago, has a variety of products and services measured in the hundreds or thousands at most. The variety of modern America’s economy can be measured in the tens or even hundreds of billions. Measured in dollars, Americans are more than 500 times richer than the Yanomami. Measured in access to products and services that provide solutions to human problems, we are hundreds of millions of times more prosperous. This all implies that we must find new ways to measure progress. In the same way that no good doctor would measure the health of a person by just one factor—her temperature, say—the economy shouldn’t be measured with just GDP. No single metric such as GDP can capture the way in which economic activity is actually improving the lives of most citizens and the overall health of the economy. It is not immediately obvious how the rate at which a society solves people’s problems might be directly measured. However, there might be ways to do it indirectly. For example, we measure inflation by tracking the price of a basket of goods. What about measuring access to a “basket of solutions” to human problems? How many people have access to good nutrition, health care, education, housing, transportation, a clean environment, information, communications, and other things that make a tangible impact on the quality of life? We could also ask how the basket itself is changing over time as innovation yields new solutions—for example, solving the problem of getting information has dramatically improved with the development of the Web and smartphones. Growth and prosperity could then be measured as a combination of access to existing solutions and the addition of new solutions through innovations. The UN’s Millennium Development Goals, which include a number of measures such as gender equality, child mortality, and environmental sustainability, are an example of an attempt to gauge economic health and societal prosperity in a more multidimensional way. Such an approach could be expanded to include the idea of access to a basket of solutions. Likewise, the Organization for Economic Cooperation and Development (OECD) and the World Bank have been working on multidimensional approaches to determining the health of developed economies and already collect much of the data that would be needed to assess access to and innovation in a basket of solutions. Such measures will inevitably not be as neat and simple as GDP, but finding ways to measure both the rate at which we solve new problems and the degree to which we make those solutions broadly accessible is a more complete way to measure the health of our economy. If prosperity is created by solving human problems, then the key question for society is what kind of economic system will solve the most problems for the most people the fastest? We have centuries of evidence now that capitalist economies do better at delivering high standards of living to their citizens than do economies run by communist, authoritarian, or other nonmarket systems. The explanation for this in standard economics is that capitalism uses price signals to provide incentives to produce and allocate goods in a way that will maximize people’s welfare. But if real-world markets are not the simple mechanistic systems imagined by thinkers of past centuries, but rather are complex, adaptive, and more like ecosystems, then the benefits of capitalism may be both different and greater than we imagined. Every business is based on an idea about how to solve a problem, from the most mundane (“How do you make a potato chip crunchier?”) to the most profound (“How do we make a new life-saving cancer drug?”). The process of converting great ideas into products and services that effectively fulfill fast-changing human needs is what defines most businesses. But effectively finding good solutions requires a system that provides incentives and allows for creativity and trial and error. A capitalist economy is best understood as an evolutionary system, constantly creating and trying out new solutions to problems in a similar way to how evolution works in nature. Some solutions are “fitter” than others. The fittest survive and propagate. The unfit die. The great economist Joseph Schumpeter called this evolutionary process “creative destruction.” And he highlighted the importance of risk-taking entrepreneurs to make it work. Thus, the entrepreneur’s principal contribution to the prosperity of a society is an idea that solves a problem. These ideas are then turned into the products and services that we consume, and the sum of those solutions ultimately represents the prosperity of that society. Making all but the simplest products and meeting customer demand usually require more than one person, so entrepreneurs with new solutions hire workers. Those jobs in turn provide the means for people to purchase products and services from other entrepreneurs, which then creates the demand that generates more hiring and jobs. This positive feedback loop is the central dynamic found in capitalist economies. The more power this feedback loop has, the more growth and prosperity the economy creates. The orthodox economic view holds that capitalism works because it is efficient. But viewing the economy as an evolving complex system shows that capitalism works because it is effective. In fact, capitalism’s great strength is its creativity, and interestingly, it is this creativity that by necessity makes it a hugely inefficient and wasteful evolutionary process. Near one of our houses is a site where each year, someone would open a restaurant only to see it fail a few months later. Each time, builders would come in, strip out the old furniture and decor, and put in something new. Then finally an entrepreneur discovered the right formula and the restaurant became a big hit, which it is to this day. Finding the solution to the problem of what the local residents wanted to eat wasn’t easy and took several tries. Capitalism is highly effective at finding and implementing solutions but it inevitably involves trial and error that is rarely efficient. A critical element of understanding capitalism as an evolutionary, problem-solving system is the idea that it is not how hard we try to solve a problem that is critical, but rather, as the University of Michigan theorist Scott Page has shown, it is the diversity of ideas and approaches that matters most in problem-solving effectiveness. This “difference principle” helps makes clear why open and fair markets, diversity, and inclusive institutions are signal features of successful economies. This feature of successful capitalism also highlights why investing in the middle class with “middle-out” approaches to policy creates a healthier economy. [See “The Middle-Out Moment,” Issue #29.] Even the best of us have only a few ideas. Bill Gates, our era’s wealthiest entrepreneur, arguably had only one big idea. Giving wealthy people like him tax breaks will not suddenly encourage them to have more ideas. It is far better for our country to enable every citizen to participate in our capitalist economy by ensuring that they have the requisite education and access to capital and training to convert their ideas into products that solve the world’s problems. A “middle-out” approach recognizes that effective policy is aimed at creating both new entrepreneurs with new ideas and more customers for those entrepreneurs. If workers have no money, businesses have no customers. Successful capitalist policies recognize and animate this circle-of-life feedback loop by balancing different elements in the economy to create a virtuous cycle of growth and shared prosperity. The genius of capitalism is the way in which it rewards people for solving other people’s problems. People who effectively solve large problems for a large number of other people can be massively rewarded. Steve Jobs made a lot of people’s lives better through the products his company created, and he was highly rewarded for it. As Adam Smith observed 230 years ago, a thoughtfully managed and regulated capitalist economy harnesses people’s self-interest to the broad interests of society. It is this freedom and the incentives for every citizen to solve problems that explains why capitalist countries are rich and why authoritarian and communist countries are generally poor. In such countries the problem-solving creativity of people is either circumscribed, prohibited, or quite often directed at solving problems for the regime. The extraordinary difference between the poverty of communist North Korea and the prosperity of capitalist South Korea is a demonstration of this. It’s important to acknowledge, however, that not all solutions to human problems are created by entrepreneurs. A researcher at a university finding a new way to make computers work faster can solve an important problem just as readily as a capitalist (though it may take a capitalist to produce and spread the researcher’s idea). Likewise a teacher who finds a better way to teach algebra is also solving an important problem for society. So also is the diligent government worker who finds a way to deliver better services at lower cost to the public. But the public sector sometimes struggles to create a culture and incentives that allow space for the experimentation, risk-taking, and failure that are essential to effective problem solving. Bureaucracies and political forces can stifle or distort evolutionary exploration. That said, there are numerous problems that only government can solve, ranging from the provision of public goods such as roads and other infrastructure, to dealing with externalities such as reducing pollution, enforcing property rights, providing security, and addressing social injustices. Realistically, the public sector is going to play a big role in many parts of the economy as well as in many aspects of society. So governments need to be problem solvers, too. It is imperative that we bring the evolutionary processes of problem solving inside the walls of government and build public institutions that have incentives to innovate and space to experiment. The view that prosperity is solutions, and growth is the rate at which we create them, also makes more obvious the crucial importance of investments by governments in technology, innovation, and education. Technology and innovation are the cornerstones of any society’s ability to generate new ideas and solutions. In most cases, it will be businesses and entrepreneurs who bring these solutions to citizens. But it will be the education of the workforce and the scientific, technical, and social innovations available to society that will empower these businesses. Thus, investments in R&D, innovation, and education are not luxuries made possible by growth and prosperity, as many policy-makers seem to believe. Rather, these investments are necessary tocreate growth and prosperity. But the mere fact that communism and authoritarianism fail does not mean that unfettered capitalism succeeds. Traditional economic theory puts perfect markets on a pedestal, and any deviation makes someone worse off, reducing the welfare of society. But such perfect markets can’t and don’t exist in the real world. Furthermore, this view fails to recognize that the great genius of capitalism—solving people’s problems—has by necessity a dark side: The solution to one person’s problem can in turn create a problem for someone else—or even for the same person. This is the age-old problem of political economy. How does an economic system resolve conflicts and distribute benefits? A fancy derivative product may help a corporate treasurer solve her problem of managing her company’s risk, and it might make a banker rich, but it might also create a problem of greater systemic risk for the financial system as a whole. Likewise, eating a bacon cheeseburger may solve someone’s problem of satisfying unconscious desires programmed by millennia of evolution, but might also create new problems of clogged arteries and a society burdened with that person’s future health costs. Overwhelming evidence from the fields of social psychology and behavioral economics shows us that people are not very good at managing these trade-offs, resolving conflicts, or recognizing interdependencies on their own. We overoptimistically believe that house prices will keep rising and that we can refinance when our low teaser rate expires. The corporate treasurer can’t really see how her decision to buy a derivative might boomerang back on her own company and contribute to the collapse of the financial system. Understanding prosperity and growth in this new way allows us to make important distinctions between different kinds of economic activity. We can now see the difference between “empty” or even “harmful” economic activity and “useful” economic activity. It becomes obvious that an engineer earning $100,000 per year who creates a technology to ensure that those in serious auto accidents walk away unharmed is creating prosperity. It is much harder to make the same case for a hedge-fund manager making $500 million per year doing high-frequency trading to seize on information advantages over ordinary investors. And if that high-frequency trading also makes the global economy more fragile, then that implies something even more damning about this activity. It can be a challenge, however, to distinguish between “problem-solving” and “problem-creating” economic activity. And who has the moral right to decide? In the traditional framework, it was simple—people vote with their pocketbooks, and if an activity is valued by the market, it must be good. But when an activity solves a problem for some but creates a problem for others—or even the same person later on, or for future generations—who should decide what is good economic activity versus bad, and how? The usual answer has been that government regulators get to decide. But like markets, regulators create problems as well as solve them. So we also need mechanisms to regulate the regulators. Democracy is the best mechanism humans have come up with for navigating the trade-offs and weaknesses inherent in problem-solving capitalism. Democracies allow the inevitable conflicts of capitalism to be resolved in a way that maximizes fairness and legitimacy, and broadly reflects the views of society. But responsibility for finding the right balance rests not just with governments, but with citizens, too. Viewing prosperity as solutions to problems helps enable citizens to use common moral sense to more clearly discern which kinds of economic activity actually make their community better off versus activity that merely enriches some of its members. Just as the neoliberal orthodoxy of the late twentieth century led to important shifts in popular culture and beliefs, we believe that new views of economics and a new definition of prosperity have the potential to change our culture, too. Today our culture celebrates money and wealth as the benchmarks of success. Imagine if instead we celebrated innovative solutions to human problems. There are places where such an imperative prevails—for example, the MIT Media Lab, where highly talented people from around the world work tirelessly to solve the most challenging problems they can find, such as using robotics to help disabled people, or using information technology to increase civic engagement, or designing more sustainable cities. They might not necessarily make big money doing it, but they have defined their status in terms of solving big, hairy problems to help people and society. In contrast, 200 miles south of MIT on Wall Street, an equally talented group of people measures status based on the size of their paychecks. Many of these people may do great things for society too—including help the MIT geeks commercialize their inventions—but the culture and values are noticeably different. Traditional economic orthodoxy makes the people at MIT seem irrational and the Wall Street people seem rational. Our definition of wealth and prosperity reverses this. Solving problems that benefit people is the goal, not making money. Making money might be a necessary condition for solving many problems—businesses need profits to endure and grow. But saying profits are the goal confuses means and ends. Treating profits as the goal is like saying that the purpose of life is to eat—our bodies need food, but it is a means to other ends, not the goal itself. There are enormous moral implications that grow out of redefining prosperity. We have neither the space, nor frankly, the ability to deal with all those questions here. But we do believe that the obvious moral implications of judging economic activity by the social value of the problem it solves, rather than the money it earns for particular individuals, may lead to cultural and behavioral shifts exceeding the influence of any regulation. Capitalism may be humankind’s greatest problem-solving system, but this view says little about how the benefits of such problem solving might be distributed. In any complex society, initial advantages and disadvantages abound—where you are born, who your parents are, what education you had, what opportunities and barriers you face, and so on. One of the great attractions of capitalism is that it doesn’t care who your parents are—if you solve a big problem for a lot of people, you can be highly rewarded. Capitalist societies have real Horatio Alger stories. But at the same time, the dynamics and path dependency of capitalism can reinforce starting advantages and disadvantages. Work by Nobel laureate James Heckman and the INET Human Capital and Economic Opportunity initiative at the University of Chicago’s Becker Friedman Institute shows how factors such as early childhood nutrition and education can have compounding economic consequences that last through adult life. Traditional economics looks at inequality through a monetary lens—for example, what share of total income the top 1 percent have. But we can also look at it as a question of access to solutions to human problems. What percentage of the population has access to good housing, transport, health care, entertainment, and so on? How does the quality of that access differ between the rich and the poor? Matt Ridley in his book The Rational Optimist makes the strong argument that viewed from this perspective, things have become both significantly better and significantly more equal—particularly when seen against the long sweep of history. The gap in nutrition between a lord and a serf in the Middle Ages was immense. Meanwhile, Warren Buffet’s nutritional intake is unlikely to be much better than that of the average middle-class American (in fact, it may be worse, as Buffett is a self-confessed lover of cheeseburgers and Coke). Likewise, Donald Trump may own a number of very nice TVs, but more than half the homes in the United States now have three or more TVs. This narrowing of the gap in material prosperity has happened not just in America but in developing countries as well, as more than a billion Chinese and Indian citizens are entering the global middle class and gaining access to important solutions like indoor plumbing, mobile phones, and motorized transportation. Inequality as an outcome may actually look less severe than it does from traditional money-based measures. But if we consider inequality not just as an outcome but as an input into a capitalist system, things look more problematic—in particular, if it is limiting access to opportunities. As discussed, effective capitalism depends on a population of competitive, diverse problem solvers. If society is not making adequate investments in that population and providing equality of access to opportunities, the circle-of-life feedback loop of growing prosperity is broken. In a recently released international survey of skills of the adult population by the OECD—the first of its kind—the United States ranked 21st out of 23 countries in numeracy, and 14th out of 19 in “problem solving in a technology-rich environment.” Most striking was how polarized the results were for the United States. Unlike any other country in the survey, the United States had more people in both the very top and very bottom rankings for many categories. Likewise, most countries saw higher skill levels in younger versus older survey respondents. In contrast, the younger generation in the United States performed roughly the same as older Americans. Decades of underinvestment in the skills of the middle class threaten to stall America’s capitalist engine of prosperity. Concentrating money in the hands of fewer and fewer people has further deleterious effects. It allows the richest people to bid up the price of the things in society that define the good life, such as housing, education, and health care. And concentrating money and wealth also slows down the feedback loop between consumers and businesses, limiting the dynamics of innovation, problem solving, growth, and prosperity. Finally, it also undermines the political legitimacy of capitalism itself. Americans are correct to believe that capitalism has been the source of our historical prosperity. But knowing that it works is different than understanding how and why it works. Our ancient ancestors knew that the stars and planets moved in the sky. But it was the revolutionary Copernican perspective that replaced the Earth with the Sun at the center of the solar system and Newton’s laws of gravitation that enabled people to understand how and why they move. Traditional economic orthodoxy assumes that markets are efficient, people are rational, and economies naturally move to an optimal state. But we now understand that markets can be far from efficient, people are not always rational, and the economy is a complex, dynamic, evolutionary problem-solving system—more like an interdependent ecosystem than an efficient machine. This recent Copernican-like shift in perspective provides a powerful new framework for understanding how and why capitalism works, what wealth truly is, and where growth comes from. This twenty-first-century way to understand economics allows us to understand capitalism as an evolutionary problem-solving system. It allows us to see that the solutions capitalism produces are what create real prosperity in people’s lives, and the rate at which we create solutions is true economic growth. This perspective also allows us to see that good moral choices will be the ones that create true prosperity. This new perspective also makes obvious why both the laissez-faire policies of the far right and the statism of the far left fail. Policies that provide opportunities for all citizens to fulfill their potential, and investments that enable them to expand their potential, are the surest ways to animate prosperity and growth. Recognizing the ecosystem-like nature of economies highlights the essential feedback loop between businesses and customers. Policy must aim to create customers as well as entrepreneurs, and to create as many of these feedback loops as possible. We must have the courage to enact policies that are good for capitalism broadly, not policies that benefit a few capitalists narrowly. There can be an immense difference. We must recognize that a thriving middle class isn’t a consequence of growth, but rather, the cause of growth and prosperity. Measuring the number, quality, and availability of solutions to human problems rather than just GDP alone could have a radically positive effect on our economy and the lives of our citizens. By creating incentives for problem solving and disincentives for problem creation, we would focus the nation’s incredible creativity and energy on the things that truly make our lives better. The market failures, moral failures, collective-action problems, and externalities that plague our economy and our lives today would be moderated as we refocused on the quality of growth, not just the quantity. Resolving the tension that orthodox economic thinking creates between a moral world and a prosperous one could unite us around a new set of economic and social principles. Seeing prosperity as the contribution we make to our community reveals economic malfeasance and rent seeking more clearly for what they are, while reaffirming the age-old lessons of our faiths and moral traditions. Our great country is knit together by the American Dream, the idea that if we work hard and play by the rules we will have a better life than our parents, and that our children will have a better life than we did. Indeed, the golden age of American capitalism in the 1950s and ’60s was not so much marked by the accumulation of great fortunes, but by the massive dispersal of new solutions to human problems that virtually every American family enjoyed—houses, cars, televisions, dishwashers, and good schools. It was also a period of great investment in research and infrastructure, and a period of opening up of opportunities to minorities and women that greatly increased the diversity and problem-solving power of our society. We believe deeply in the core idea of the American Dream—not just because it is a moral imperative, but also because it is the surest way to build prosperity for every American. Originally published here at the Democracy Journal. 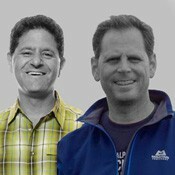 This entry was posted in Prosperity and tagged Hanauer. Bookmark the permalink.